Our solar sprayers are one of the finest innovations that offer a cost-effective way of spraying on crops. Equipped with a 12V 8Ah solar battery, the sprayer comes with a solar panel and a regulator with an auto cut-off function. 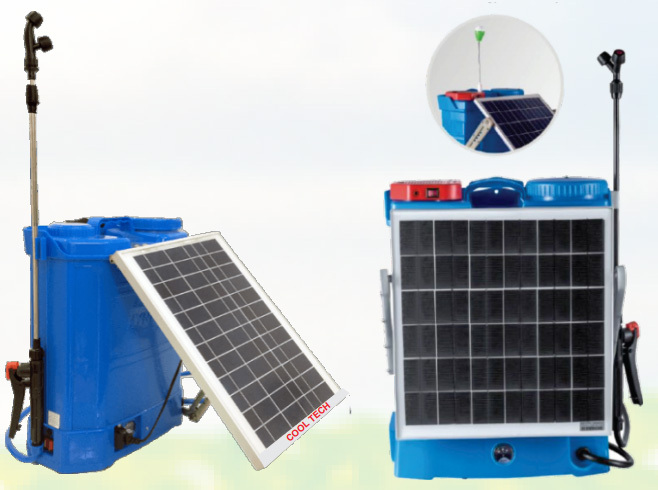 The farmers can be able to charge the solar battery with the help of a 1.7 ampere charger. Fitted with total 5 plastic nozzles, the 20 liter high density tank allows discharge of the solution through its hi-jet gun at the maximum pressure.